Two acts with connections to The Beatles will be headlining WECK Radio’s ’60s Celebration. 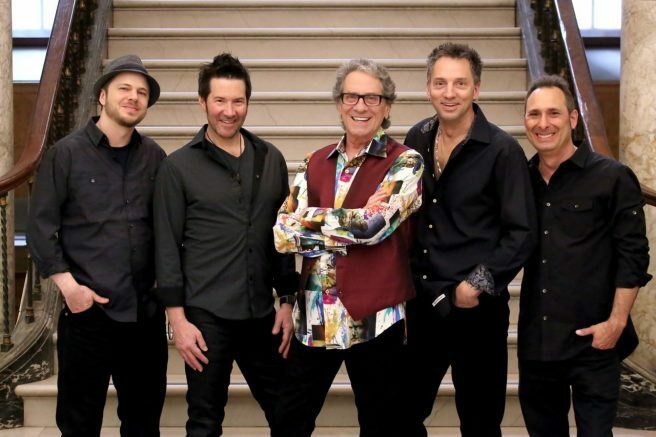 Gary Lewis & The Playboys and Terry Sylvester of The Hollies will perform at the Tralf Music Hall in Buffalo on Saturday, April 6. Showtime is 7:30 p.m. Tickets are $35 to $55 and available through Ticketmaster or by calling the Tralf box office at 852-2860. In February of 1965, Gary Lewis’s first song This Diamond Ring climbed straight to #1, knocking off The Beatles from the top slot. He followed that with Count Me In, which charted at #2. In 1965, Gary was Cashbox magazine’s Male Vocalist of the Year, winning the honor over Elvis Presley and Frank Sinatra. Gary was also the only artist during the 1960s to have his first seven releases reach Billboard magazine’s Top 10 on the Hot 100 chart. Gary’s other hits include: Save Your Heart For Me, Everybody Loves A Clown, She’s Just My Style, Sure Gonna Miss Her, Green Grass, My Heart’s A Symphony and (You Don’t Have To) Paint Me A Picture. He is the oldest son of legendary comedian, the late Jerry Lewis. Rock & Roll Hall of Fame member Terry Sylvester of The Hollies opens the show. The Hollies hits include Carrie Ann, Bus Stop, On A Carousel, The Air That I Breathe, He Ain’t Heavy He’s My Brother, Long Cool Woman (In A Black Dress) and Sorry Suzanne. Terry also had a hit with Hippy Hippy Shake, while lead singer of The Swinging Blue Jeans. Terry has a longtime connection with The Beatles, having grown up with them in Liverpool, England. Ringo Starr helped Terry’s first band The Escorts get their first club residency. The Beatles also asked Terry and the Escorts to open for them in their last, historic concert in Liverpool’s Cavern Club. Be the first to comment on "Music legends to perform at Tralf Music Hall"